Antique Persian Tabriz Rug, Country Of Origin: Persia, Circa Date: 1900 — The natural hues of autumn highlight this exquisite Tabriz rug. 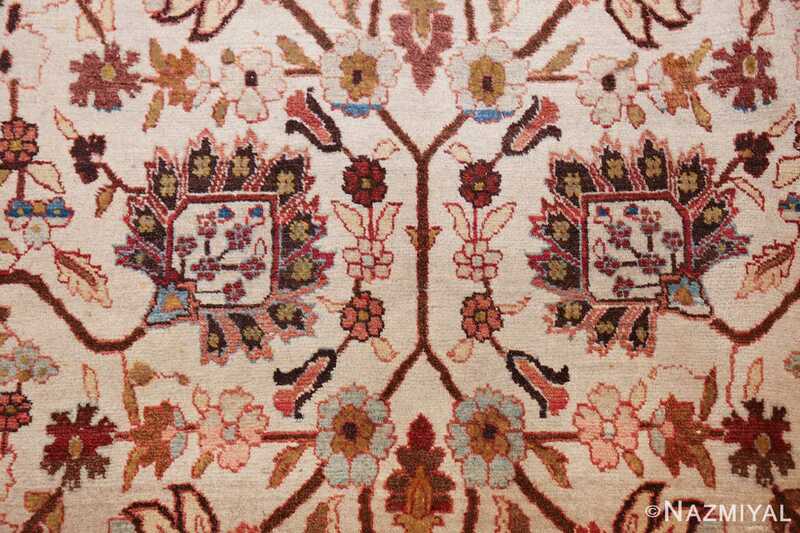 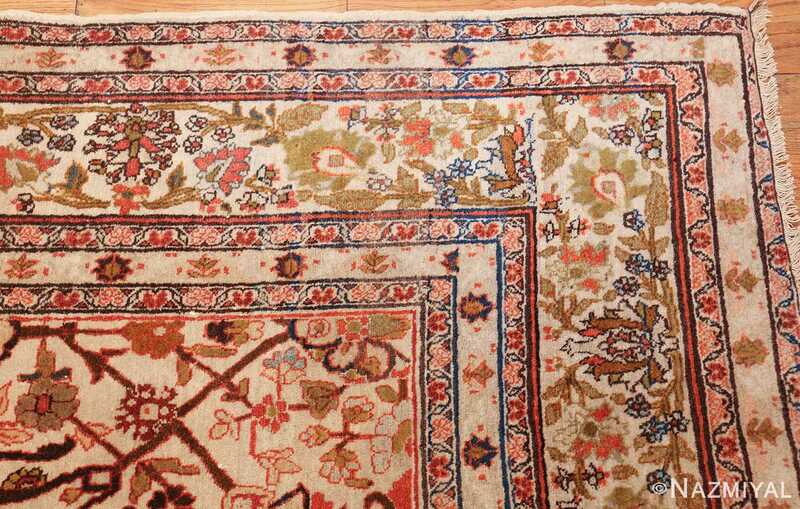 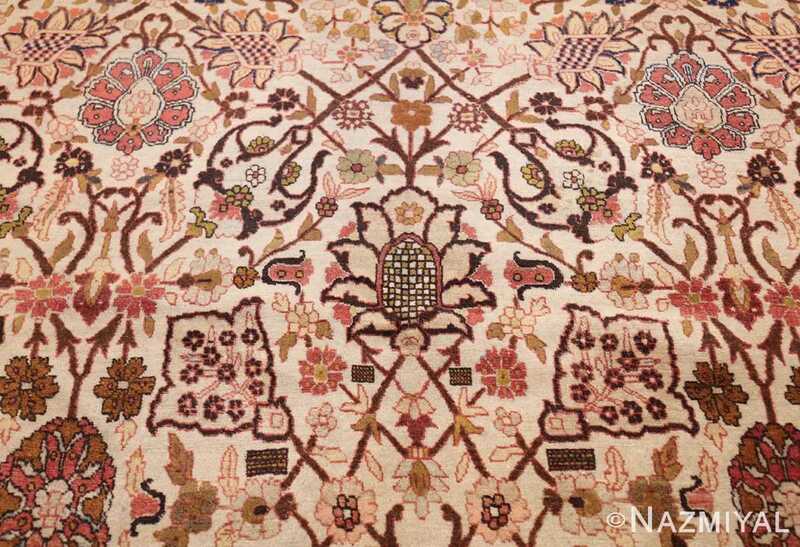 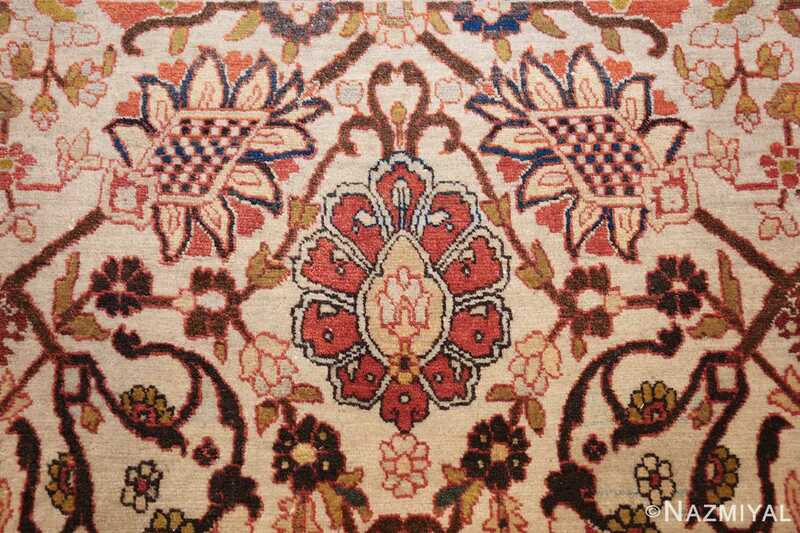 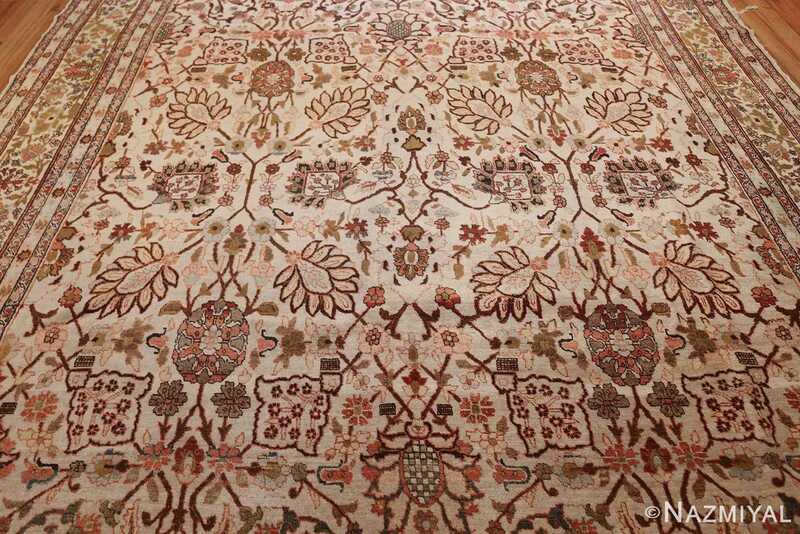 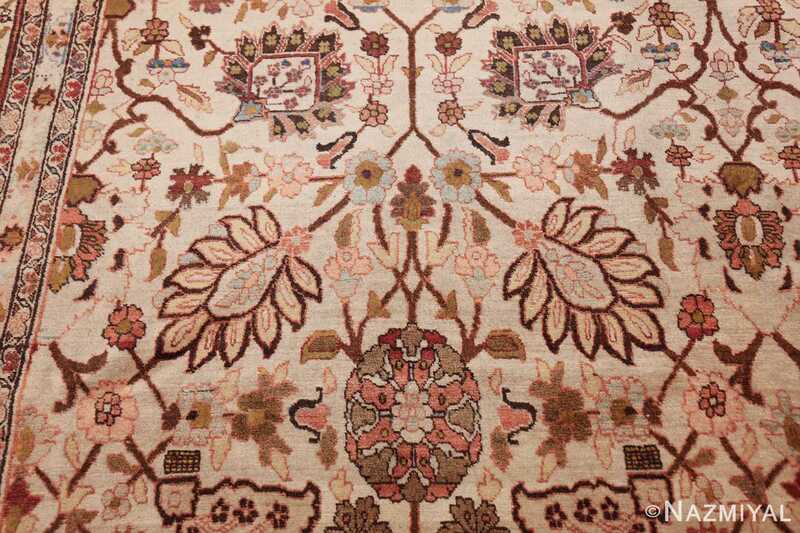 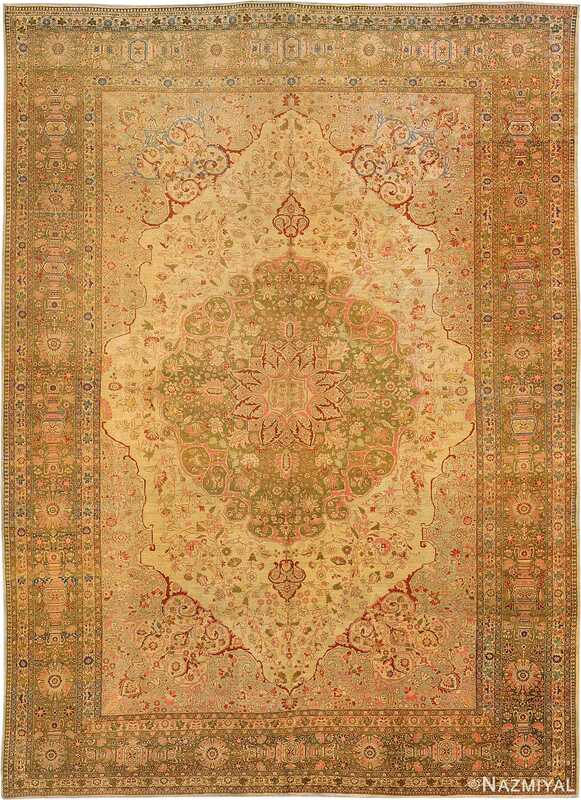 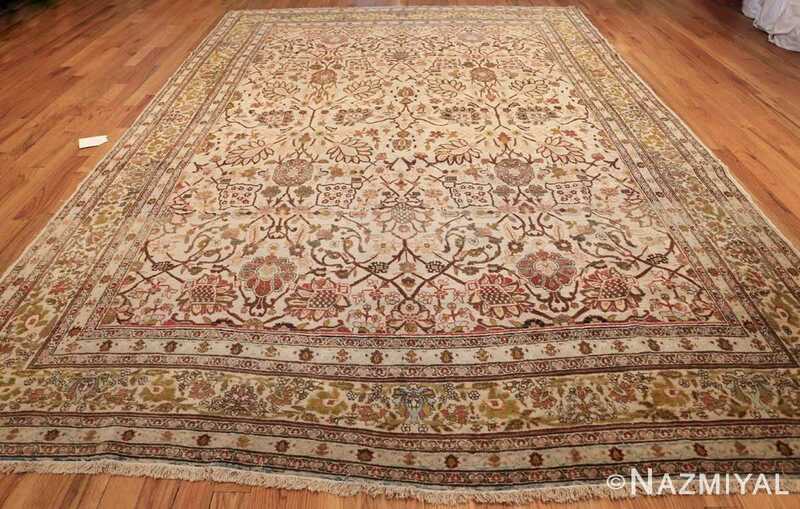 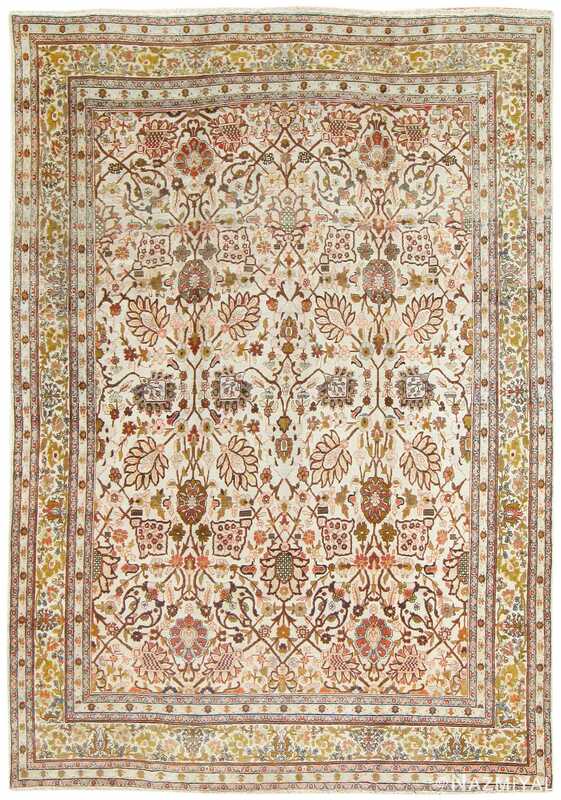 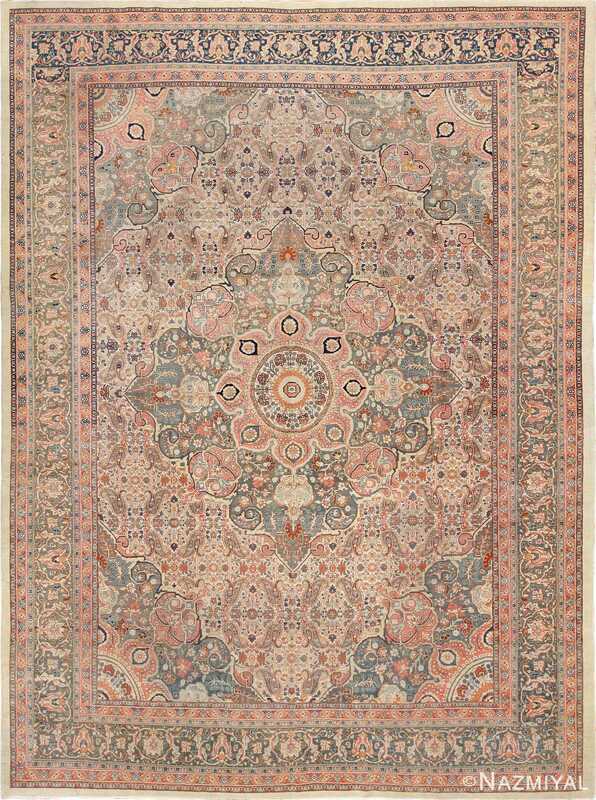 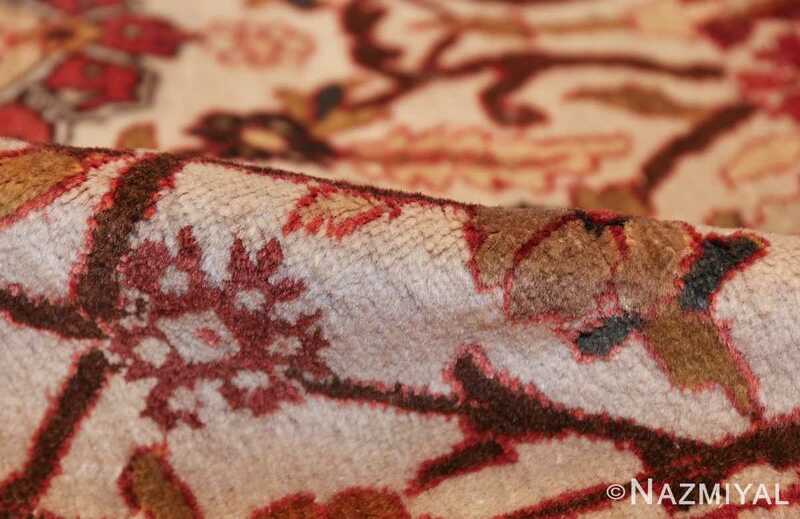 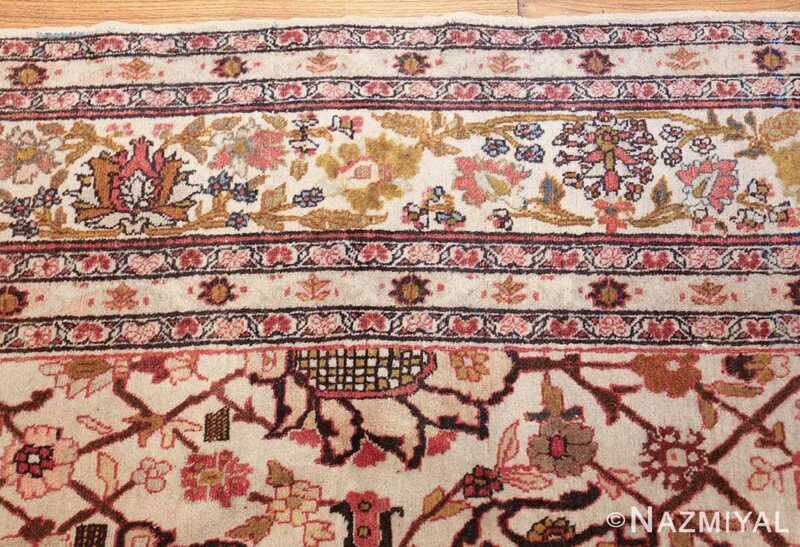 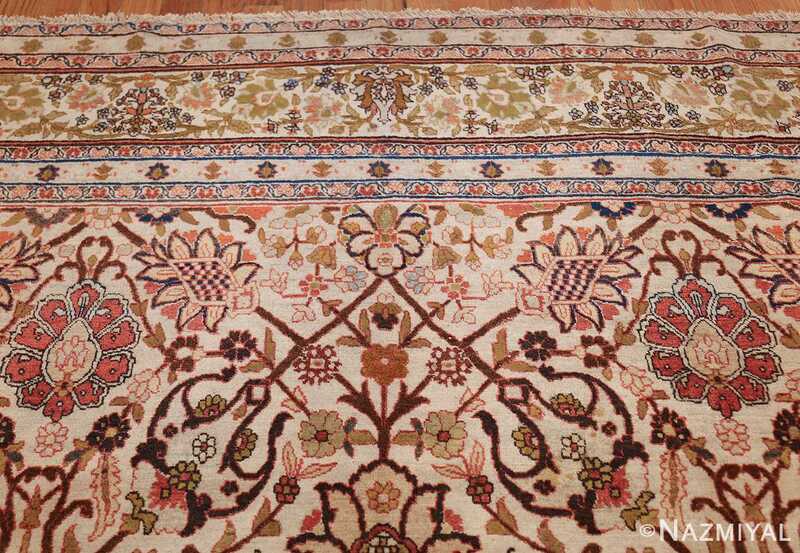 Infused with multihued browns, golden greens, and earthy shades of red and orange, this striking carpet displays an astonishing depth of symmetry, from the variation on the outer borders to the complex and beautifully intricate heart. 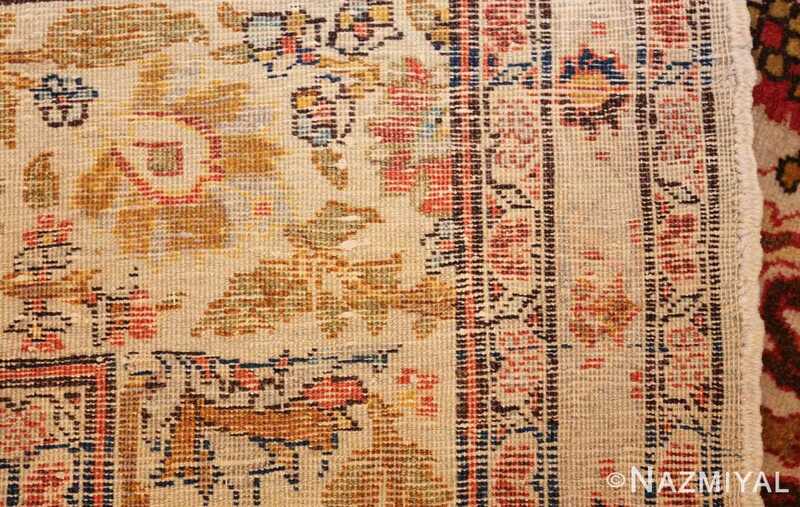 A sense of the natural world infuses the piece, each curve and color echoing the serene and simple beauty of an autumn forest. This masterful rendering of the freedom found in nature weaves into the delicate symmetry that defines this quietly magnificent rug. 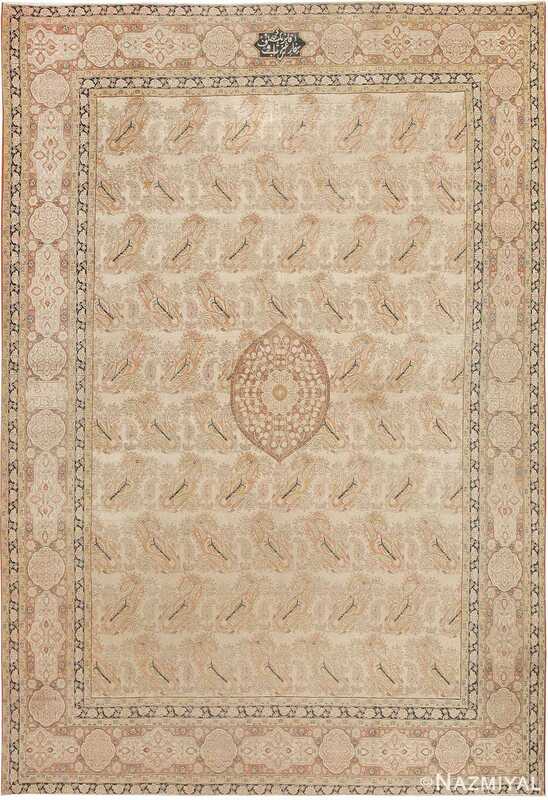 The deceptive sense of simplicity in the design serves to highlight the elegant complexity of this sophisticated piece.